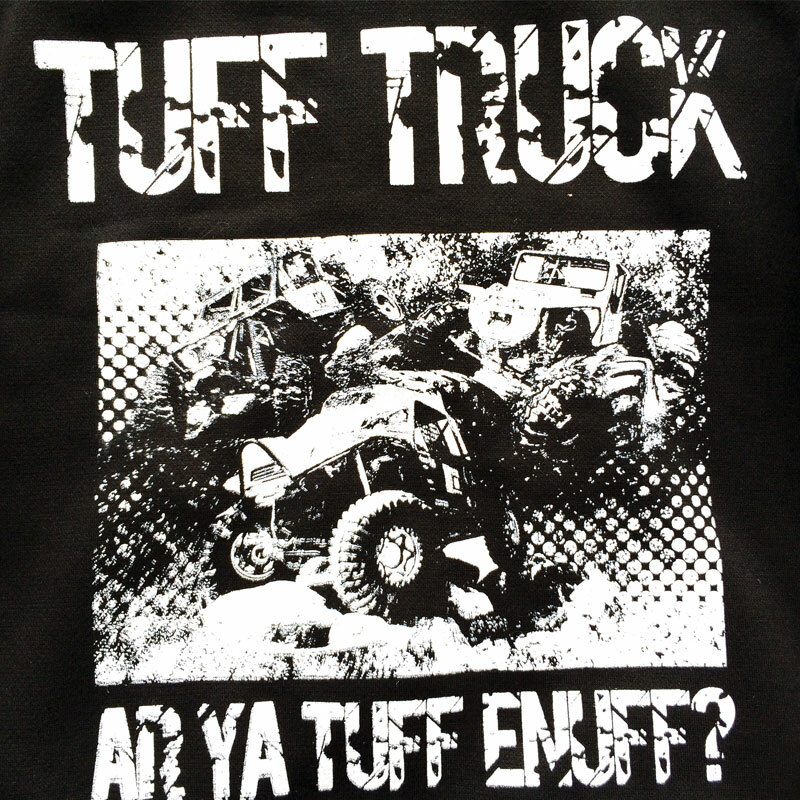 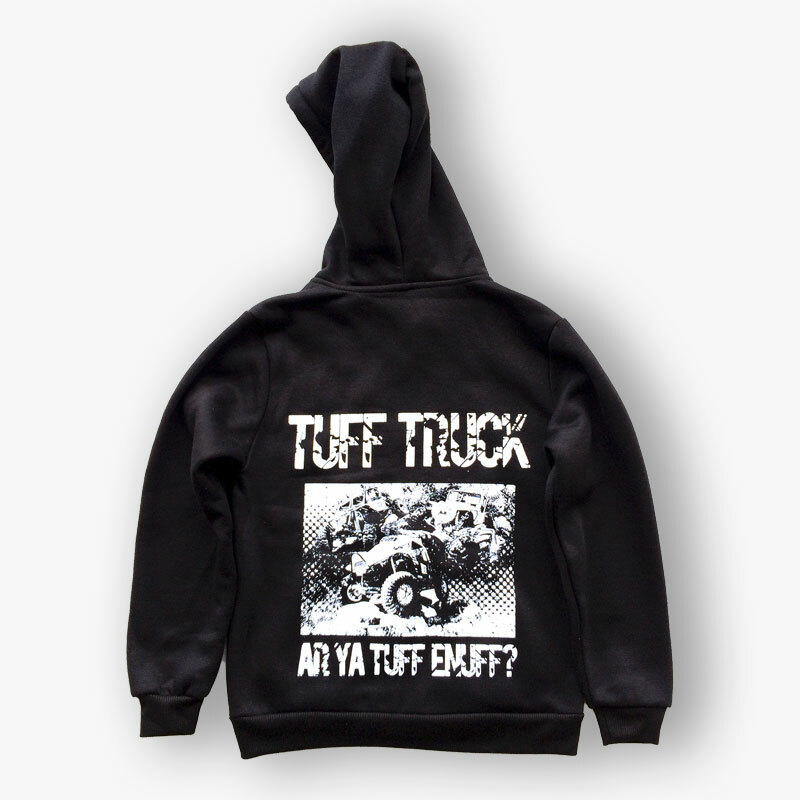 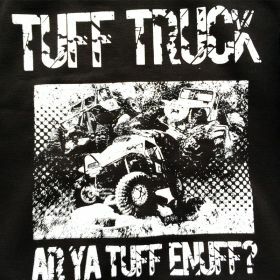 Keep your kids warm in style this winter with this hoodie featuring the Tuff Truck life style with a montage of past TTC legends. 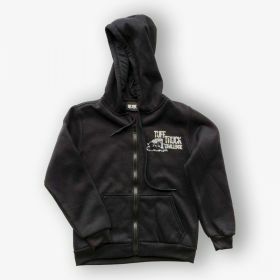 Hoodie has a draw string so you lock-down when the cold winds pick up and a full length zip so you can where it like a jacket when it gets too warm. Font pockets keep your mits warm.